Road Safety is a very important issue among many young drivers. 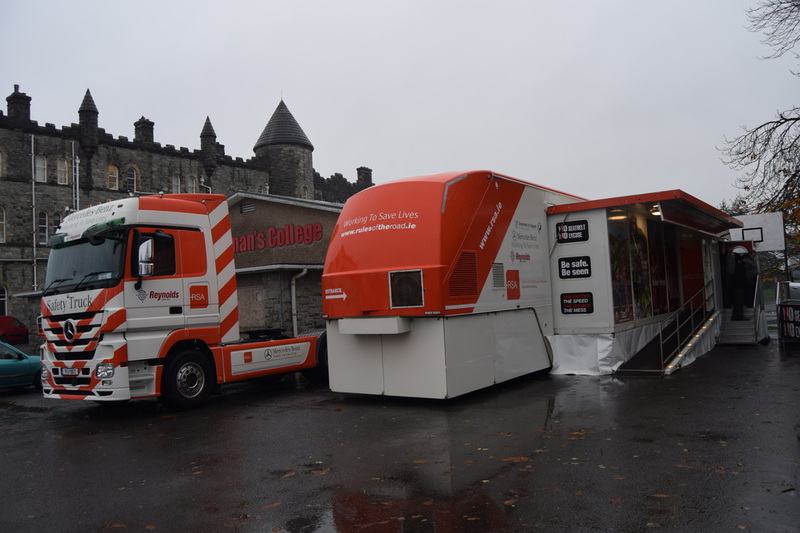 The RSA Road Safety Shuttle Bus is an interactive learning experience. Students from Transition to sixth year were all offered the opportunity to go into the shuttle bus and the crash simulator. 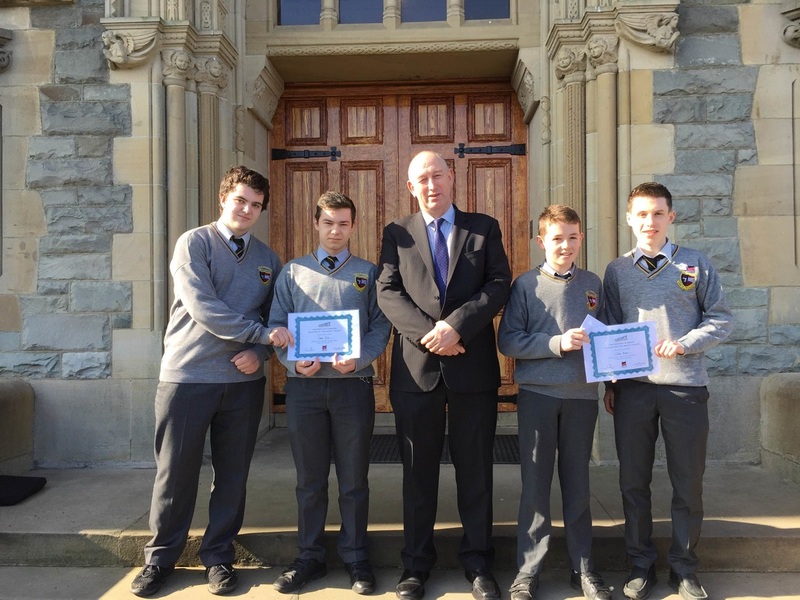 A student from each of the junior house years and transition year will be announced as the Century Cinemas Student of the Month. This is not an academic award. It is awarded to students who set a great example in terms of behaviour in class and around the school. The Fourth Annual Positivity Day was held on the 28th of April. With a number of fun events held throughout the day, Positivity Day again seemed a great success. 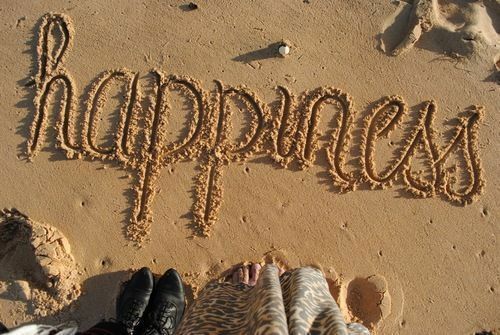 The importance of thinking positively and promoting positive mental health cannot be denied in the modern world. We hope that the events in the morning and particularly the quiz, penalty shoot-out and chess competition made this day an enjoyable one for the students. Thanks to County Councillor James Pat McDaid the Student Council have been able to install Bike Racks on the college grounds which will be installed over Easter. Thanks to PJ Designs, and their generosity of sponsoring the work on the goalposts, the Student Council have been able to improve the goalposts on the All weather pitch for all students of Saint Eunan's College..
New equipment which has kindly been donated by Neil Barrett owner of FitHub Letterkenny will be put into the school's gym over Easter. 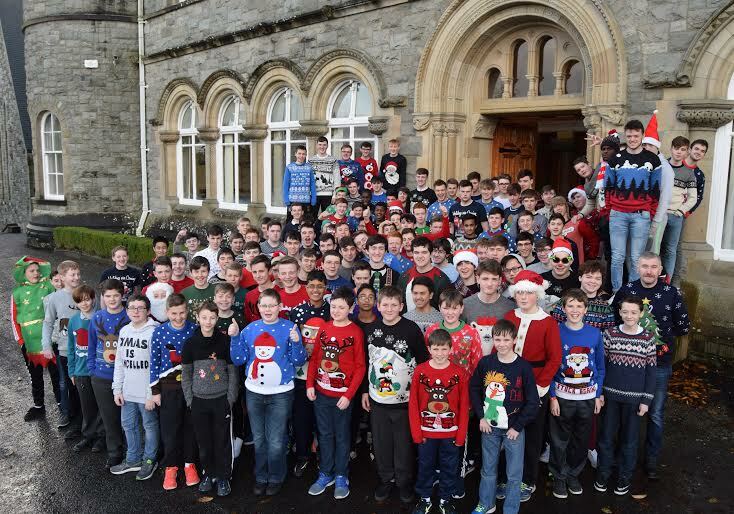 The Student Council held it's annual Christmas Jumper Day to raise money which can help the Council organise and provide solutions to a student's problem or to the suggestions we receive from students. All suggestions are gathered from the Student Council suggestion box which is located beside the front door.